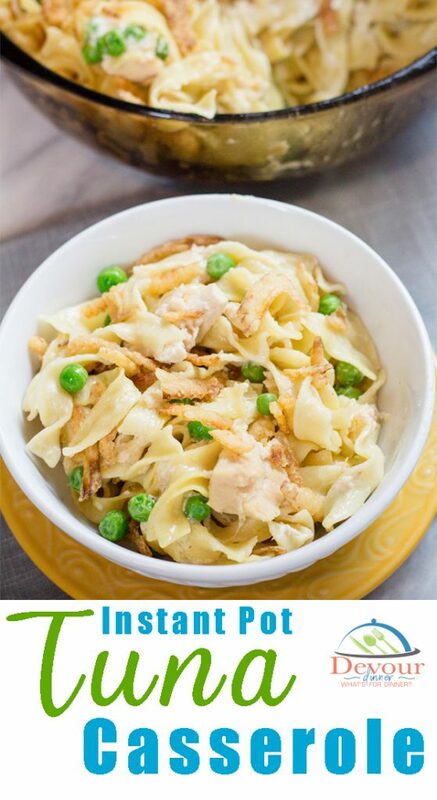 Tuna Noodle Casserole for the Instant Pot and Stove Top Directions too! 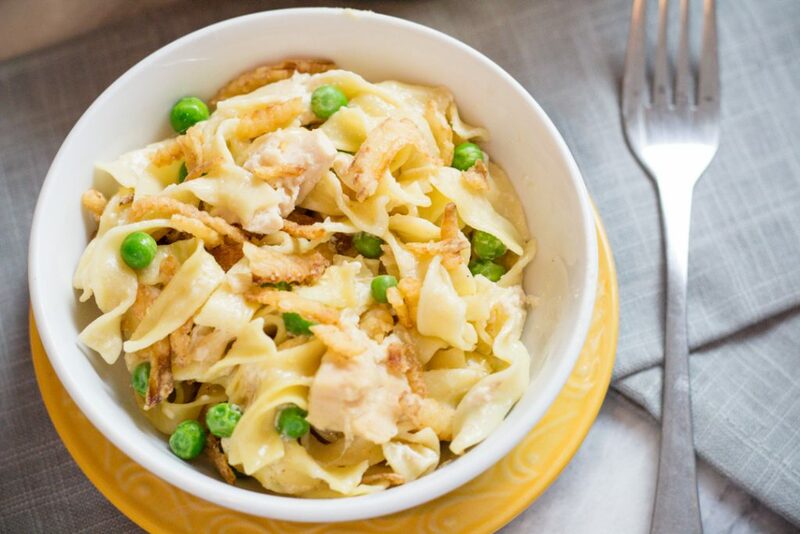 Classic easy Tuna Casserole Recipe will remind you of when Grandma used to make it for you. With a homemade sauce it’s creamy and delicious, something you can share with your family and make memories too. 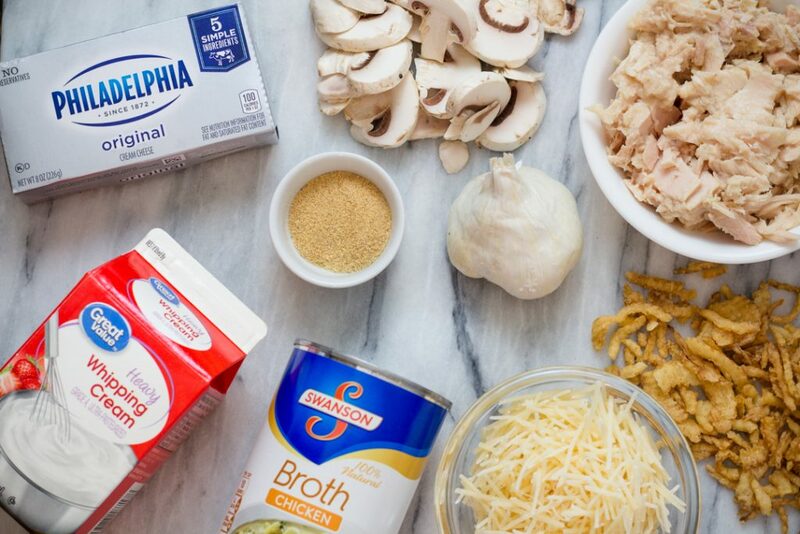 Many Tuna Casserole Recipes call for a Cream of Mushroom Soup, but not this recipe. And don’t get hung up on this recipe being hard, because it’s not. In fact, sometimes it’s harder to open a can of soup than it is to make this creamy from scratch sauce that truly makes this recipe delicious! How many of you remember when Grandma or even your own mom would make Tuna Casserole? I sure do! It makes me smile to remember those days. Wow. I’m old! 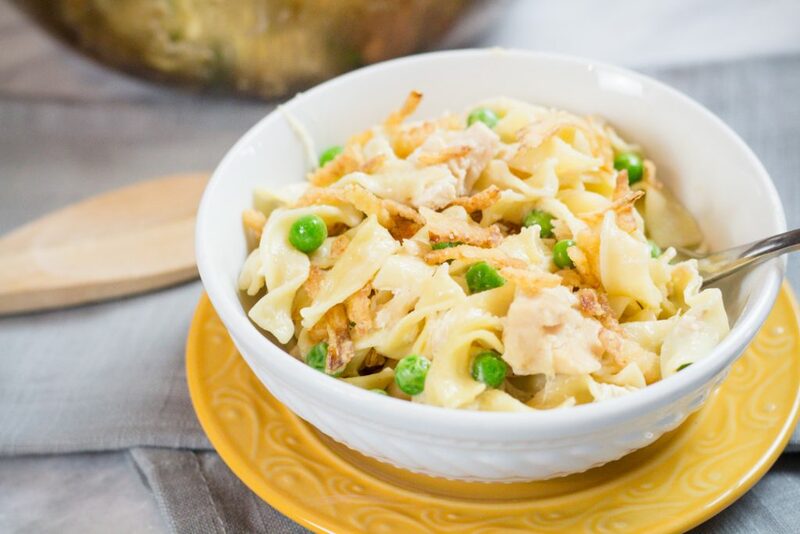 haha.. Tuna Noodle Casserole is a classic, with a creamy sauce, mushrooms, peas, and of course Tuna. I have a phobia to using canned cream of “anything” and try hard to not use them, if I can. This from scratch sauce is quick and easy and tastes so much better than a canned sauce, trust me, you will thank me later. I’m not a fish lover, but somehow Tuna Casserole is different and I find that even my picky eater son ate 3 bowls right up. 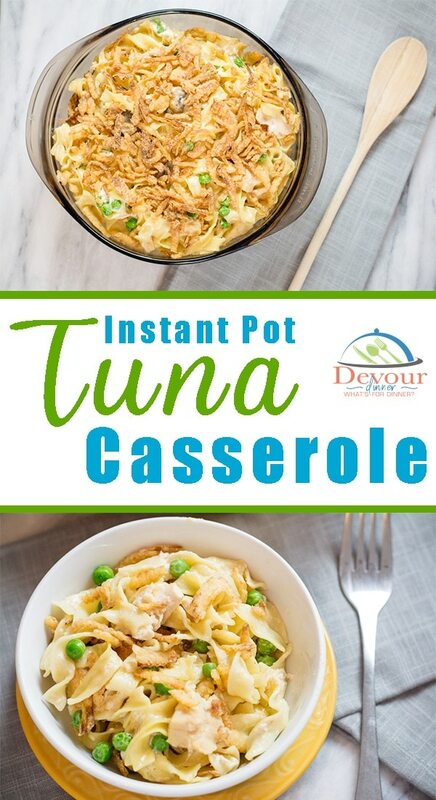 Not sure what makes this Easy Tuna Casserole different than other fish recipes, maybe it’s the simplicity of the dish or the comfort food that it has become. 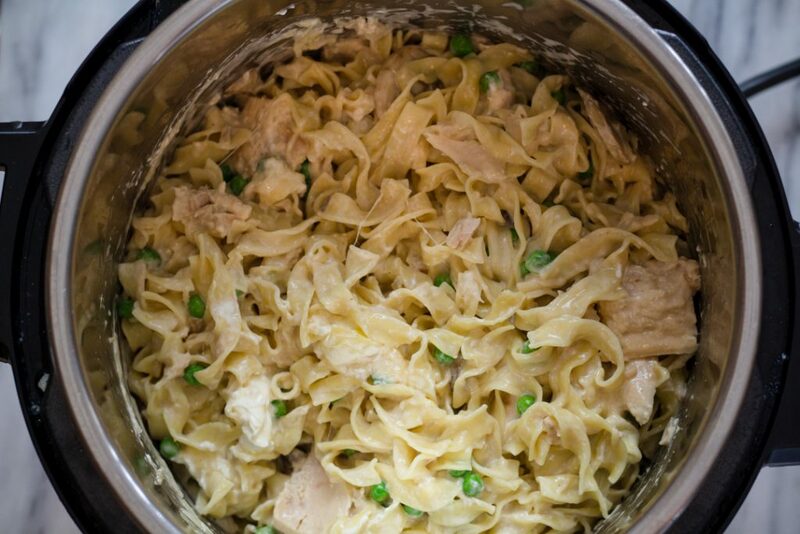 Tuna Noodle Casserole is the same as Tuna Casserole, a dish that became popular in the 1950’s using a can of soup, tuna, and noodles. 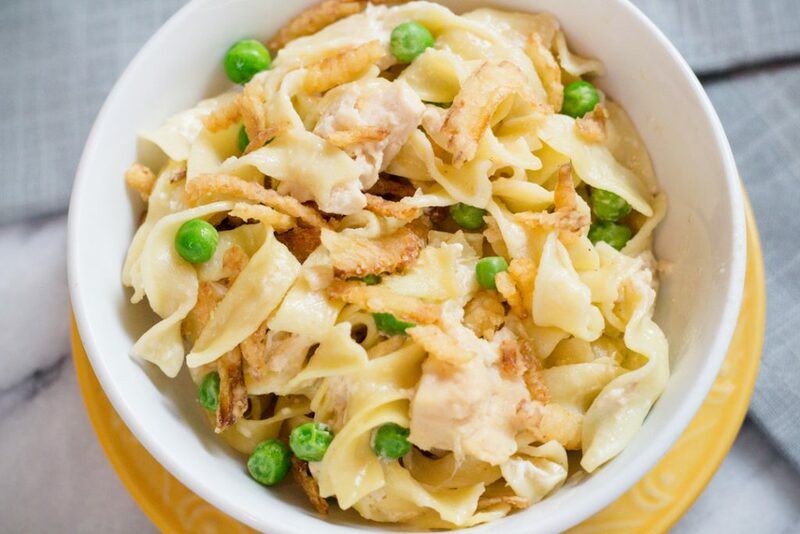 How to Make Tuna Noodle Casserole? 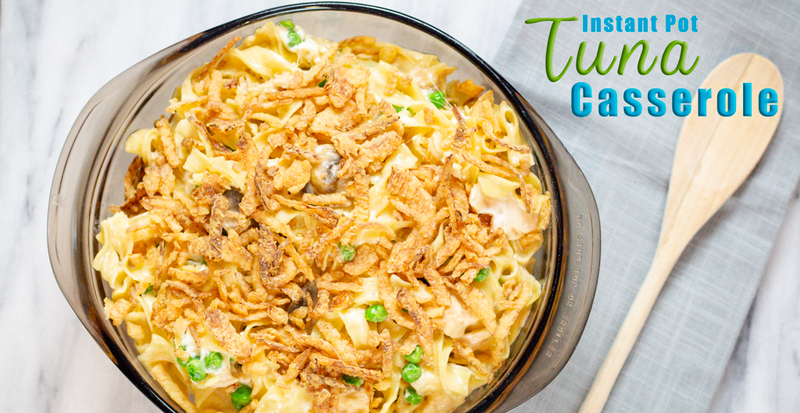 Tuna Noodle Casserole can be made in a variety of ways but traditionally Tuna Casserole Recipes have Tuna, Noodles, and a creamy sauce as a base. Often times Peas, and or mushrooms are also added with a crunch baked top. How to Reheat Tuna Noodle Casserole? You can easily reheat Tuna Casserole on the stove by adding a little bit of milk or cream and heating over a medium low heat and stirring untli desired temperature is reached. You can also re-heat in the Microwave. How to make Tuna Casserole without Soup? Great question, as mentioned in the post we tend to steer away from canned soups so this recipe does not use one. It’s also super easy to make, easier than opening a can sometimes. Check out the recipe card for full directions and measurements. You can freeze your leftovers really easily by wrapping the casserole dish with aluminum foil and freezing it in the pan. Once it’s frozen, remove the casserole from the pan and place it in a freezer zip-loc bag. Then return it to the freezer. Looking for more Great Tried and True Recipes? Creamy Tuna Casserole Recipe with sautéed mushrooms and garlic in a homemade creamy sauce. This classic casserole made quick and easy in a Pressure Cooker. Add butter and garlic and allow butter to melt while stirring. Add Egg Noodles and make sure noodles are mostly covered. Add Heavy Cream. Do not stir. Put Tuna on top of noodles. Do not stir. Set Instant Pot to Manual for 2 minutes. Allow 4 minute Natural Release and then Quick Release. Add Cream Cheese, Pepper, and Parmesan cheese and stir. Add frozen peas and stir. Close lid for 5 minutes to heat peas and melt cheese. 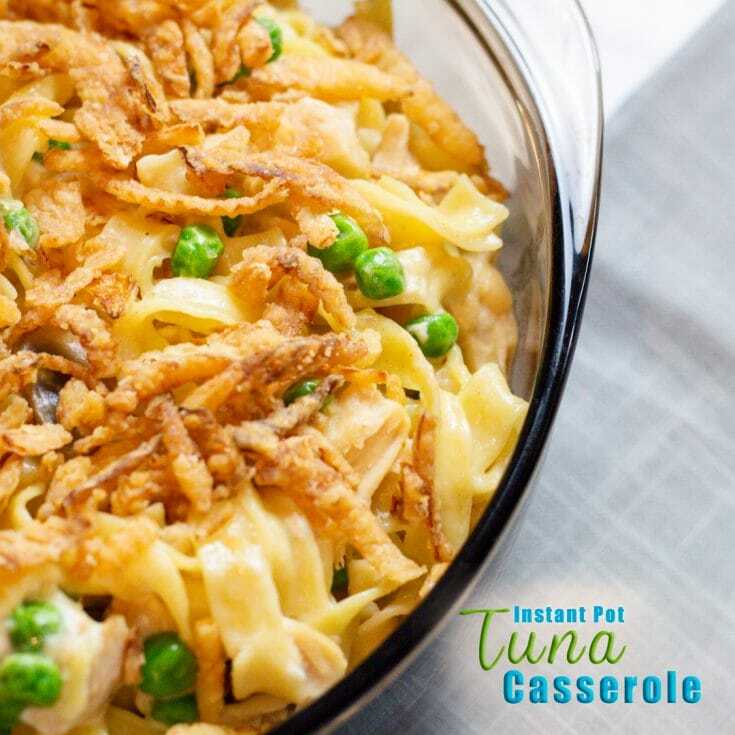 Place Tuna Casserole into a 9x13 casserole dish and top with French Fried Onions and bake for 7-9 minutes at 350 degrees to crisp to top of the casserole. Serve and enjoy.